Remember to keep your little ones healthy! The fundamentals of toddler nutrition are important to know as a parent. The toddler years are a time of rapid physical growth and mental development. Nutrition plays a critical role in ensuring that these processes happen efficiently and without interruption. While some parents will already be familiar with the basics of toddler nutrition from their previous experience having other children, new parents are often thrown into this stage with little guidance. While everything does not necessarily have to be perfect to ensure that your child grows to be healthy and happy, it is essential that toddlers receive adequate nutrition. So, what constitutes adequate toddler nutrition? Continue reading to discover the basics so that you can be sure that your toddler receives everything needed for a healthy and nutritious diet. All human beings require the essential building blocks of nutrition on a daily basis. These include adequate amounts of carbohydrates, fats, and proteins, as well as a variety of other vitamins and minerals. If your toddler can consume solid foods, be sure to include a good variety of easily digestible vegetables, fruits, and healthy protein sources with every meal. Toddlers do require additional amounts of particular substances due to the number of bodily changes that are taking place at this age. For example, toddlers require approximately four times the amount of iron when compared to an adult male’s dietary needs! While these “extra” minerals can be gleaned from a diverse and well-planned diet, it can also be useful to hit the daily recommended amounts through supplementation. Supplementation of vitamins and minerals can take the form of toddler milks. These are available in a wide variety of formulations from your local supermarket. Often, they are fortified to contain everything a toddler will need to achieve adequate nutrition. This includes sufficient vitamin D to boost the immune system and hormonal development. High amounts of calcium are also recommended for toddlers to facilitate the healthy growth of bones. This can also be found in many toddler milks or in a well-balanced diet. As a note of caution, pay close attention to how your toddler feels after eating particular foods. It is around this age that children can develop food allergies. Be sure to stop feeding your child with foods that cause stomach upset or allergic reactions. There are a wide variety of methods and options available if your child has special or unique dietary needs or preferences. Toddler milks, for example, can again come in handy here. 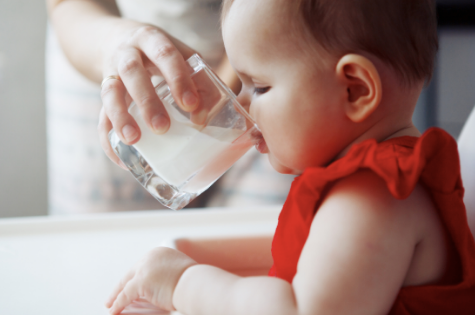 There are toddler milks for every condition or dietary consideration such as gluten or lactose intolerance, for example, or even for many lifestyle choices, such as choosing to adopt a vegan diet. Before making any major changes to your toddler’s diet, be sure to consult with your family physician first. Generally speaking, It is important to consult a doctor to get a medical opinion on the nutritional composition of your toddler’s diet. If you have any additional questions or concerns about toddler nutrition or the needs of your particular child, be sure to ask at your next appointment. Dietary habits that are established in early childhood can make a dramatic impact on the nutritional habits of your child later in life. By spending a little time researching and planning your family meals, you can make a positive difference for your toddler and indeed, the rest of your family. If you keep the points listed here in mind when planning, you can be sure that you will be on the right track when it comes to your toddler’s nutrition. How Important is Nutrition in Early Childhood Education?